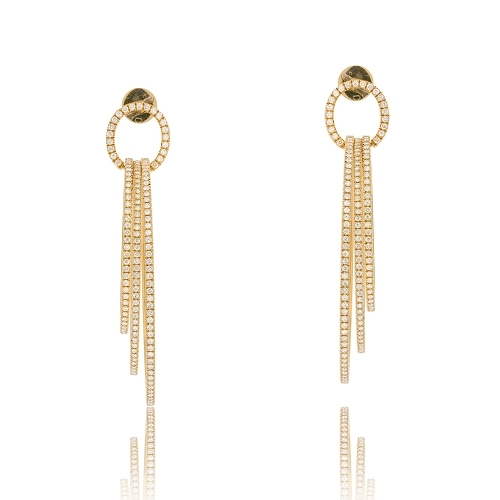 18k rose gold earrings with a 3 diamond encrusted graduated loops suspended from a round top. Diamonds approx. 3.13ct. Earrings 2.5"